Xiaomi Mi 6, the successor of the Xiaomi Mi 5, is anticipated to launch in the first half of 2017, but a precise timeline is uncertain. Now, two recent rumours are separately suggesting a February or April launch for Xiaomi Mi 6. The Mi 6 should be unveiled at some point in early 2017. When exactly that will happen is still a mystery, and the latest rumors from China aren't helping clear it. Last month we heard that the Mi 6 would become official in March, but now some conflicting reports are saying that's not going to happen. According to one well known tipster on Weibo, the Mi 6 is scheduled for an announcement on February 14. This date is even backed up by a purported leaked invite image for that event. This delay in Xiaomi Mi 6 launch is allegedly because Samsung, which will be making the next flagship Qualcomm mobile chip, will not be able to manufacture sufficient Snapdragon 835 SoC units in time. The South Korean company has further been suggested to ship the Snapdragon 835 SoC in limited numbers with its alleged upcoming Galaxy S8 smartphone due to low production. Considering a possible shortage of the Snapdragon 835 SoC units if the Mi 6 is released in February, Xiaomi is believed to have postponed the launch of the phone to April. The rumours about Xiaomi Mi 6 suggest that the phone will feature a dual-camera setup as well as a thin frame. The Mi 6 is expected to feature support for fast charging as well. 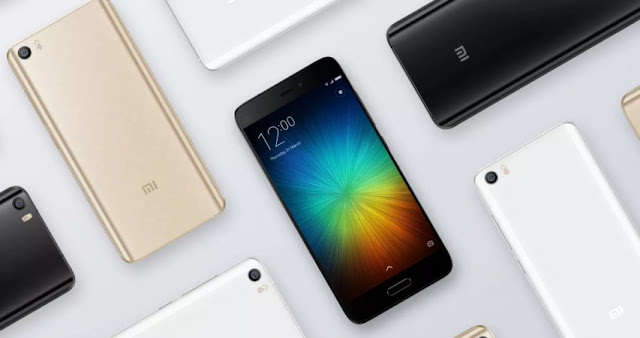 As Xiaomi has still not made any official statement, we will advise you to take these rumours with a pinch of salt. A well-known tipster has suggested on Chinese website Weibo that the Xiaomi Mi 6 smartphone will be launched on Valentine's Day - February 14 - and has even provided an alleged invite image for the event, as per a report by Racing Junky. However, some other tipsters, also on Weibo, have suggested that Xiaomi was earlier expected to be launching the Mi 6 in February but then delayed the event to April, as pointed out in a report by GSMArena. Of course none of this information is official, or coming straight from Xiaomi itself, so there's no way to tell exactly which release time frame will end up being accurate.